US corporations spend $14 billion on leadership development programs that are failing. Gayle Lantz' new WorkMatters Leadership Academy addresses these challenges through real-time small group coaching to achieve measurable results. Birmingham, AL: Leadership expert Gayle Lantz has announced the launch of her WorkMatters Leadership Academy. Despite huge corporate expenditures, most traditional leadership development programs are failing. Many companies admit they're spending too much on programs that are missing the mark when it comes to engaging and retaining top-tier talent. Studies show only 20% of traditional training material is retained after 30 days. According to the Association for Talent Development (formerly known as American Society for Training and Development), U.S. businesses spend billions of dollars on leadership-based curriculum. Yet, according to Lantz, "It's tough to make training stick. Companies are not getting return on their investment. Many leaders secretly dread training"
The WorkMatters Leadership Academy addresses these challenges for large corporations by providing development in a small group setting. Participants meet regularly to exchange ideas, sharpen executive leadership skills, challenge their thinking and gain objective perspective to help them be most effective in their leadership roles. "Traditional training does not always consider business context and one size does not fill all. Leaders learn best in small group coaching settings in real-time while applying what they learn," says Lantz. "Top performers want to learn, grow, and be challenged. They also want to collaborate and build valuable connections with peers. The Leadership Academy is designed to facilitate leadership – in a format that fosters engagement as well as accountability – without wasting precious time"
Participants from the same organization (usually 8 – 10) typically meet once a month in a small group setting for up to half a day. The interactive approach puts them "in the driver's seat" for their own development. The approach is based on successful techniques Lantz has applied for more than fifteen years running executive groups comprised of participants from non-competing industries. Tapping into her background as an executive working for a $500 billion financial services institution, and having coached hundreds of corporate executives, Lantz understands the unique challenges large companies face. Through her new WorkMatters Leadership Academy she is committed to helping organizations attract, develop and retain the best talent. Engagement: Each meeting actively engages participants. No lectures or theory. Just discussion about what matters most to participants with live application of new skills and ideas that make a real impact in developing a leadership mindset with relevant behaviors. Peer Support & Collaboration: As participants share opportunities and challenges, they collaborate with and gain support from others in the group who can provide objective feedback and perspective. Knowledge & Skill Development: To help participants gain the knowledge and skill development essential for success in their leadership roles, specific topics are customized for the group maintaining focus on vital business context. Coaching Support: Participants appreciate having access to Lantz, a recognized leadership development expert, who delivers unique value. She offers "Just-in-Time" coaching to provide support between meetings in situations when group members need quick ideas, feedback or guidance in real time. Accountability: Participants assume "ownership" of their contribution and are focused on results. They commit to specific actions each month based on issues discussed -- and then report progress. Lantz helps executives improve performance through proven strategies for gaining clarity, creativity and confidence in their problem-solving abilities. 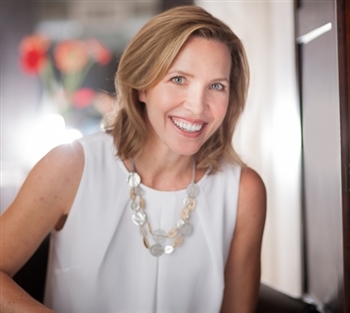 Since 1998 she has worked with a full spectrum of companies including Fortune 100 companies such as Microsoft and Lockheed Martin as well as public sector organizations such as NASA and large enterprise clients such as Southern Company, MassMutual Financial Group and BBVA Compass Bank. She is also the author of Take The Bull By The Horns: The Busy Leader's Action Guide to Growing Your Business And Yourself, and her articles and insights have been featured in a variety of business publications including Harvard Management Update, New York Times, BusinessWeek, Wall Street Journal Online, Human Resource Executive magazine, Chicago Tribune and FastCompany.com. Companies that are the best fit for Lantz' services are those with a strong commitment to engaging their leaders in collaborative approaches to help them achieve exceptional results for their team, division or organization as a whole. 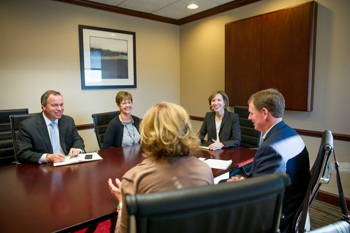 Based in Birmingham, Alabama, Lantz serves global, national, regional and local organizations. To learn more about the WorkMatters Leadership Academy, contact Lantz at info@workmatters.com or call 205-879-8494.